I MADE US THE BEST SALAD EVER! There are hardly any vegetables, if you’re into that kind of thing. 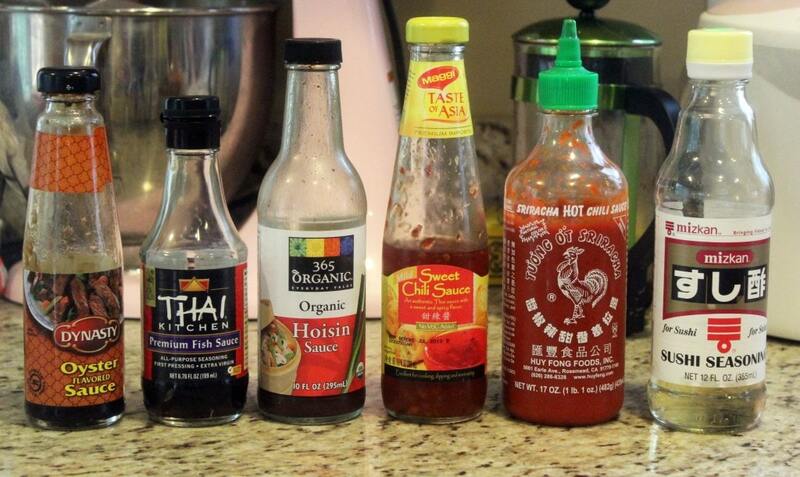 There’s also an excruciating amount of Sriracha – in a good way. JAY actually said that the drizzle for this was spicy, and usually when I start sweating over food he adds another good tablespoon of hot sauce to his meal. So – success! I made something hot enough for my hot man. I’ve been seeing a lot of these Asian-style salads recently, and it just seemed RIGHT to add one to this little site we’ve got. 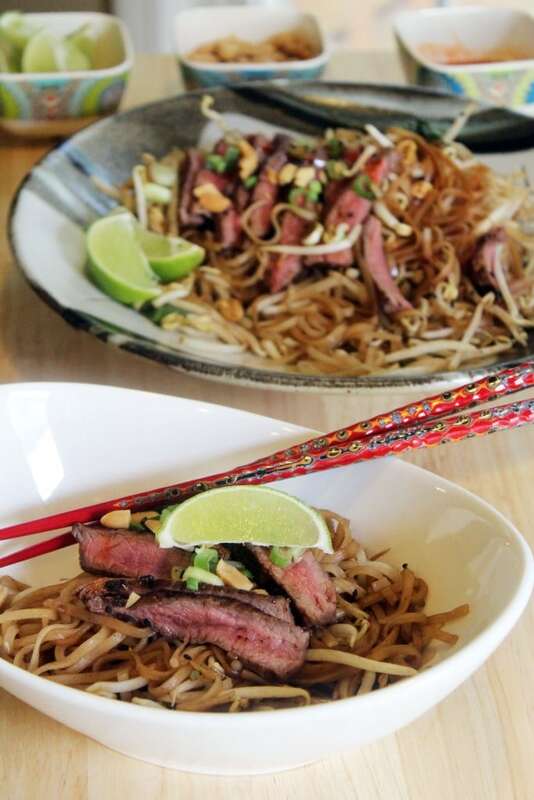 I love noodles, I REALLY love Asian food, and steak is just…GREAT for lunch on a Saturday afternoon, when we ate this. 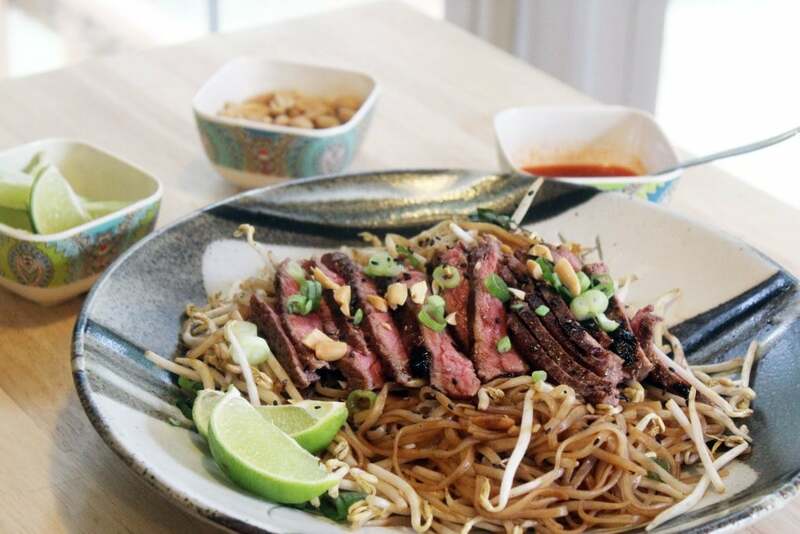 For the salad, you need peanuts, rice noodles, bean sprouts (fresh if you can find them, canned if not), steak, lime, scallion, sesame seeds, and beef broth. 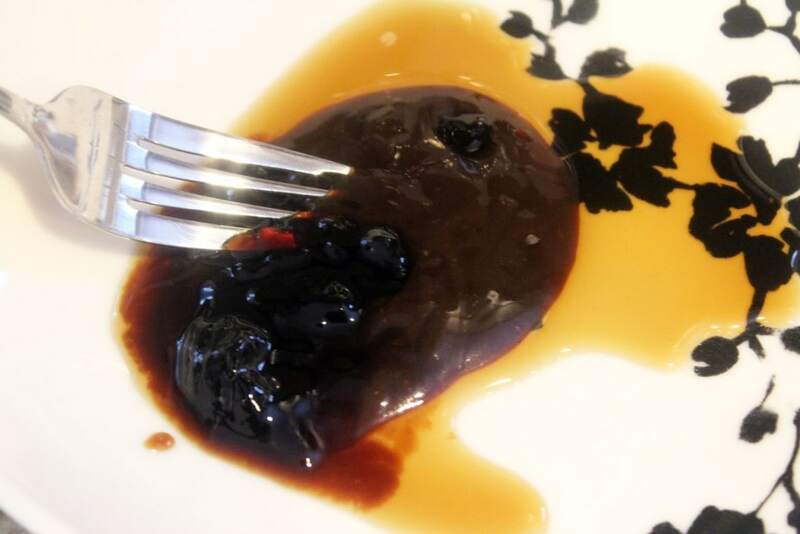 For the sauces (one for the steak, one for drizzling), you need oyster sauce, fish sauce, hoisin, sweet chili sauce, Sriracha, and rice or sushi vinegar. 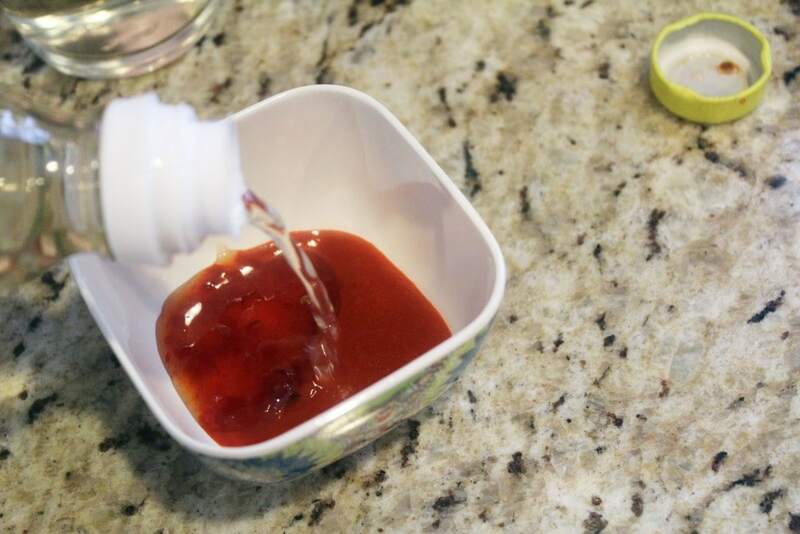 Sushi vinegar is slightly sweeter, but don’t freak out if you don’t have it – the chili sauce has plenty of sugar so you’ll be just fine with regular vinegar. While you’re prepping the rest of the ingredients, cook the noodles to package directions. They’ll need to be rinsed well so they don’t stick together – let them cool a bit while you prep everything else. Let’s start with the steaks! I’m using something here called Mock Tender – Jay asked if it just pretended to be tender…it’s a new cut of steak that you see sometimes that looks maybe like a filet but is really cheap. It works great for this – don’t spend a ton of money on steak! The flavor comes from the other ingredients we use, the steak is just a topping. Preheat a large skillet (we’ll use it later for all the noodles) to medium-high heat with a drizzle of oil. Then, prep the steaks by add the oyster sauce, fish sauce, and hoisin to a plate with a lip or shallow bowl. Oyster sauce, by the way, does not taste like oysters. It tastes….brown. Like any brown sauce you’ve ever had at a Chinese restaurant. It’s a GREAT ingredient to keep on hand, so don’t let the name turn you off. Combine the sauces with a fork. Then, dip the steak back and forth in the brown sauce to coat completely. 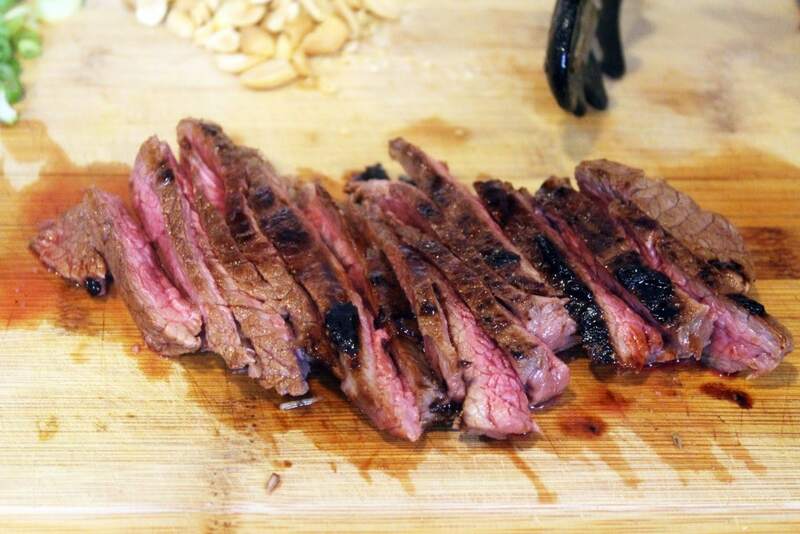 We don’t need to marinate the steak – the flavor is really intense already! Cook the steaks to your preference, reserving any remaining sauce from the plate. I like medium-rare for this – what IS it about cold raw-ish steak? It’s great, is what. 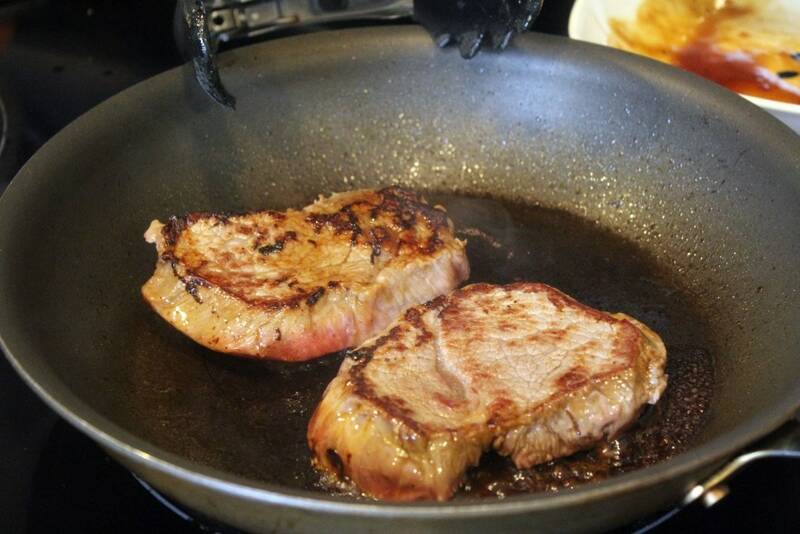 The pan should sizzle a lot when you add the steaks – turn the heat up if they don’t. For these 1-inch steaks, I cooked them about 4 minutes on each side. Just flip the steaks once, and don’t move them around so you get a nice crust on the outside. When the steaks are cooked, remove them to a plate to cool while you prep everything else. First – the sauce for the noodles! 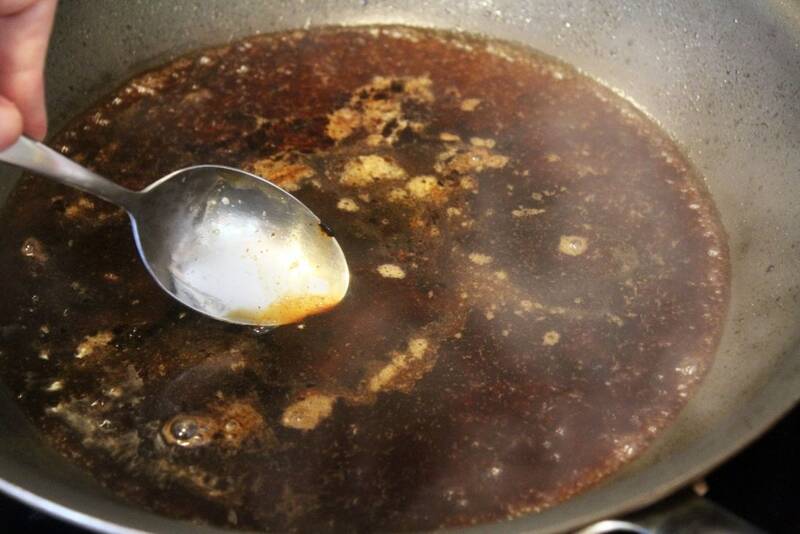 To the same steak pan, add the beef broth and any remaining sauce from the plate. Stir for just a minute to release any bits from the pan, then turn off the heat. We don’t want the sauce to reduce, just combine then cool slightly. The only other prep is the few toppings and the drizzling sauce! 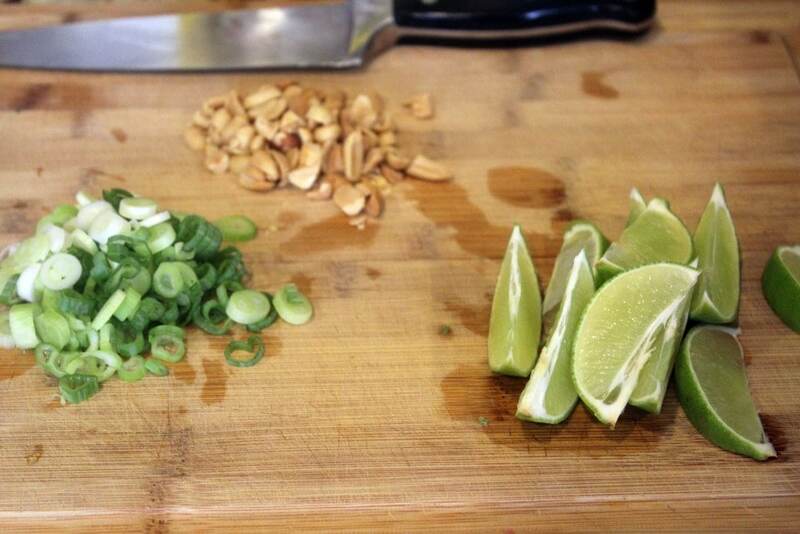 Cut the lime into wedges, chop the peanuts, and slice the scallions. Then make the drizzle. 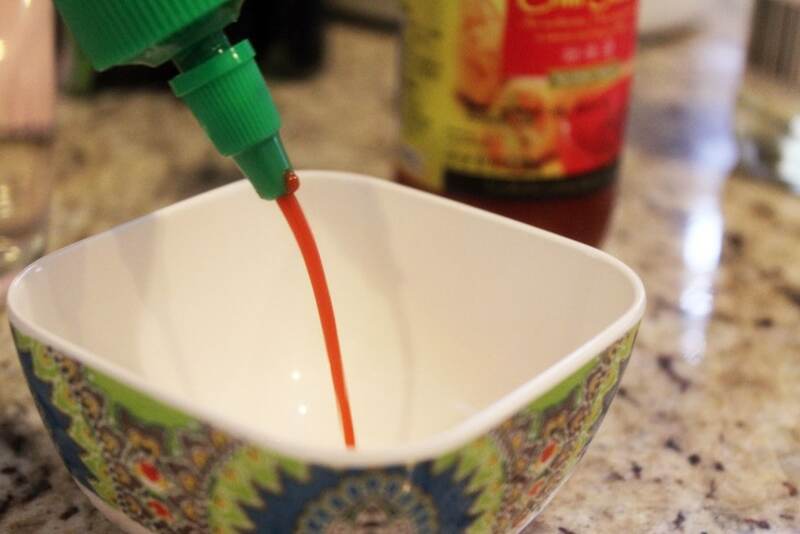 Squirt in the Sriracha…. Then stir! 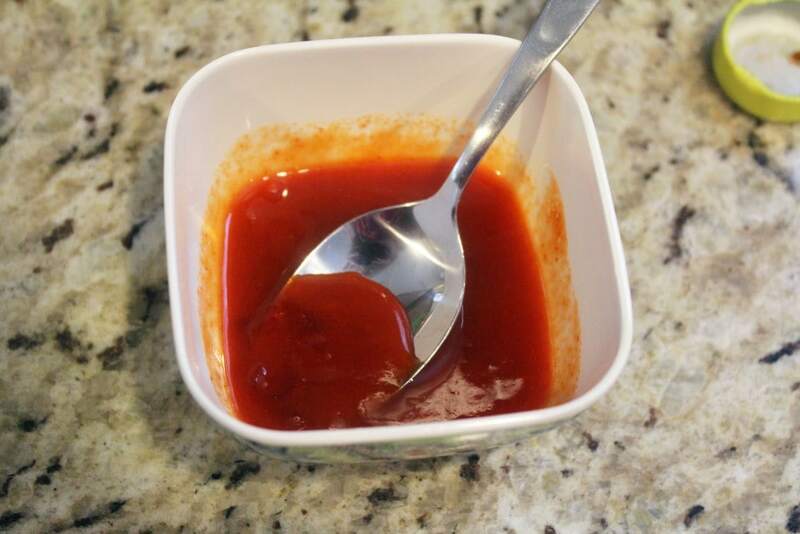 Taste the sauce and adjust the seasonings to your preference – it starts SPICY, so if you don’t like a lot of spice add more chili sauce and vinegar in equal parts until the sauce tastes good to you. Now, once everything else is prepped and the steak has rested, thinly slice the steak against the grain – as thinly as you can. Use a really sharp knife for this! So, we have veggies, brown sauce, red sauce, noodles cooked, and steak sliced. Let’s make salad! 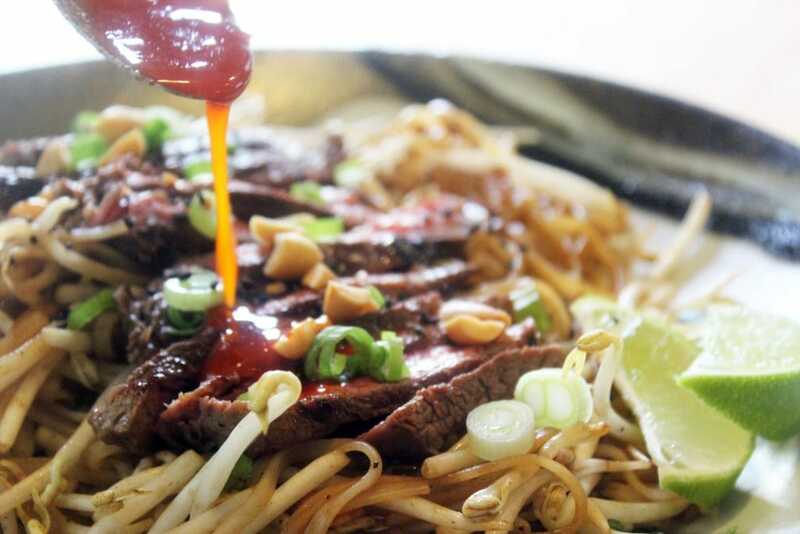 To the steak pan with the beef/drippings sauce (cooled by now, or still warm – doesn’t matter), add the noodles, bean sprouts, half the peanuts, and scallions. 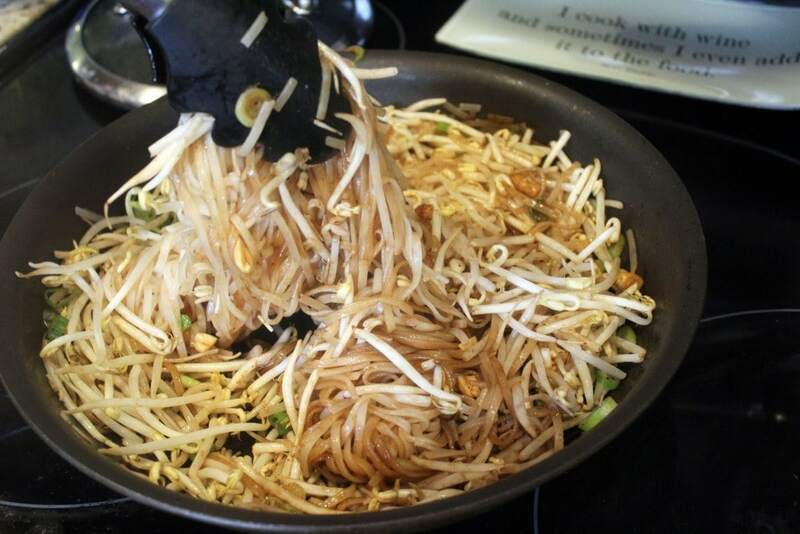 I LOVE fresh bean sprouts for this, so it’s worth the splurge if you can find them in your grocery store. They’re really crunchy and sweet, almost the same texture as a water chestnut would give. The canned kind is great too, though! Toss the sauce with all the ingredients, and taste. My noodles were salty enough, but add some more beef stock, oyster sauce, or even regular soy sauce if you’d like more flavor. Now, to serve! 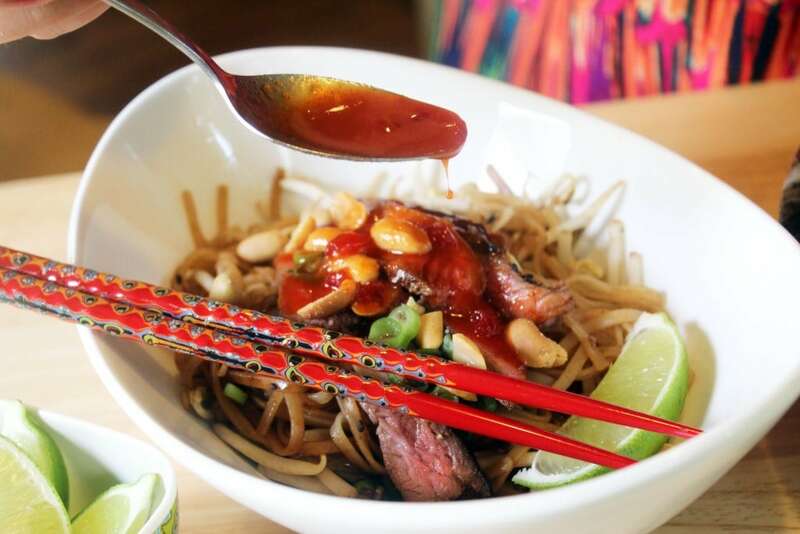 Heap the noodles on a platter, top with the steak, sesame seeds, and extra peanuts, and SERVE with the glorious red sauce on the side. If you’re brave, go ahead and drizzle some on – this’ll depend on your clientele. If you have some heat-sensitive folks eating this is a really great dish for spice and no-spice lovers alike. The drizzle can just be added to individual plates after you serve. This was REALLY delicious, friends. 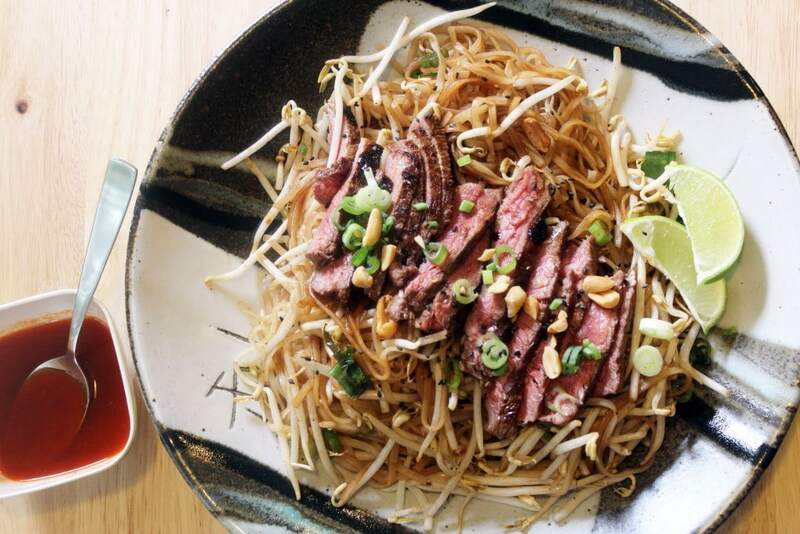 If you want to make it in advance you can cook everything the day before and chill the noodles/sauce/bean sprouts all together, then just top with the steak and drizzle right before you serve. 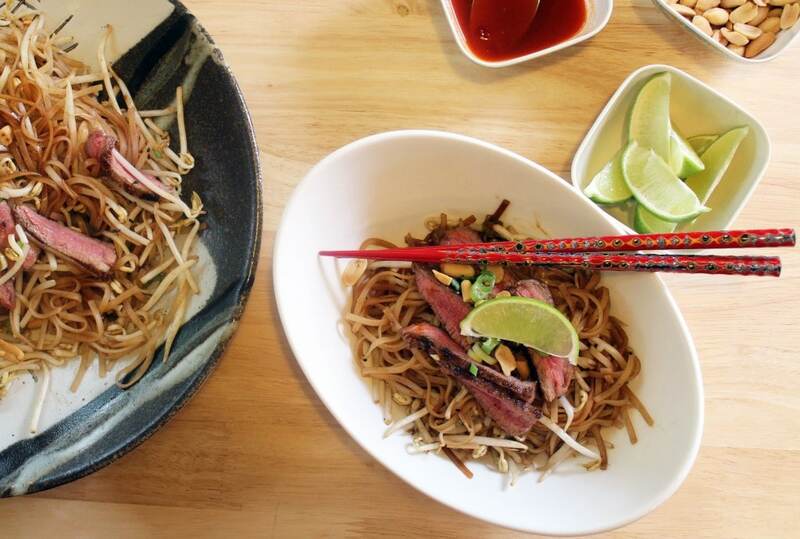 The flavor of the brown sauce on the noodles only gets better as it sits! You could of course make this with any protein, even tofu, that you like, so don’t let the steak throw you off. Make this SOON, guys. 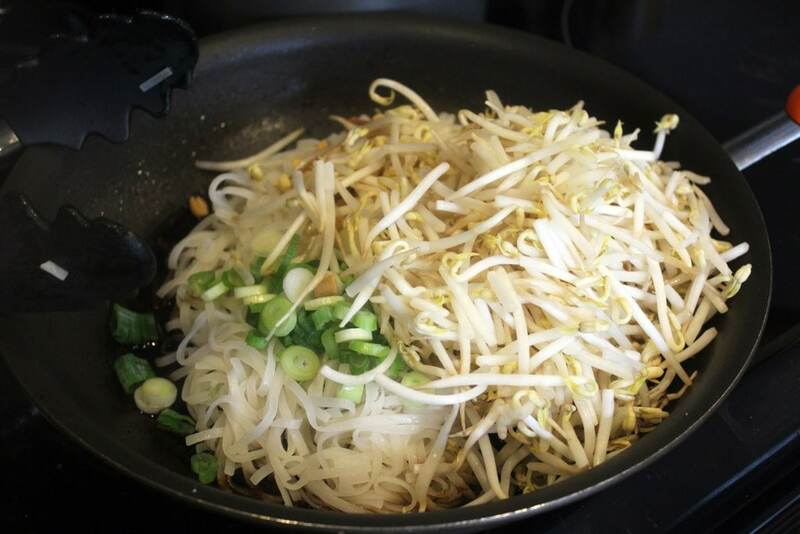 It’s so great for summer, and the lime and crunchy bean sprouts make it really refreshing, even with the heat of the drizzle. Of course, not to be outdone, Jay had to drizzle extra red sauce over his bowl before he ate it…..it was spicy, but apparently there was still room for improvement. Happy Monday! If you make this salad I promise it will be. Combine the oyster sauce, fish sauce, and hoisin on a plate. 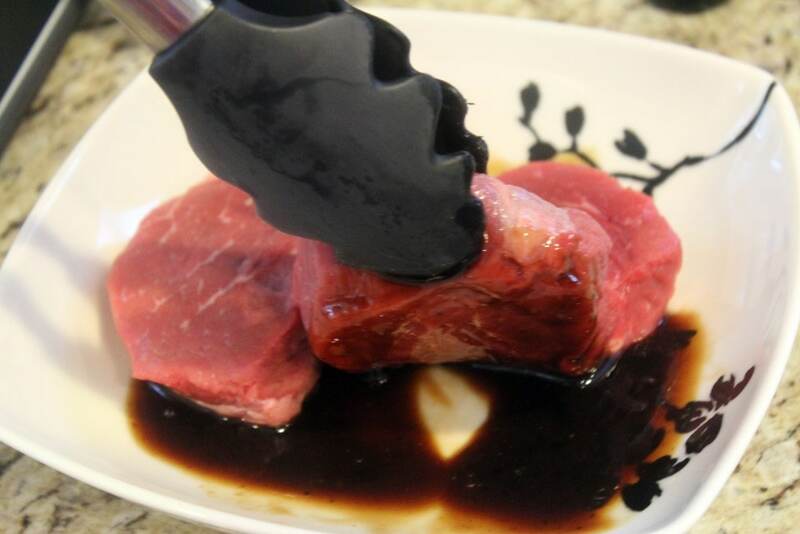 Use a fork to mix the ingredients together, then dredge the steak or steaks back and forth to coat on both sides. 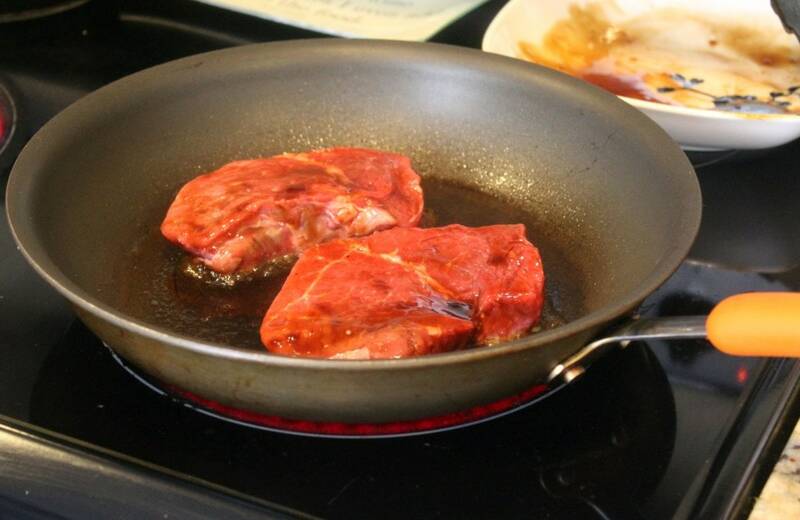 Heat a large skillet to medium-high heat with a drizzle of oil, and cook the steaks for 3-4 minutes on each side until medium-rare and browned on the edges. Remove from the heat, and let rest to cool. In the same hot pan, add any leftover steak sauce and the beef stock. Stir to combine and deglaze the pan, then turn off the heat. 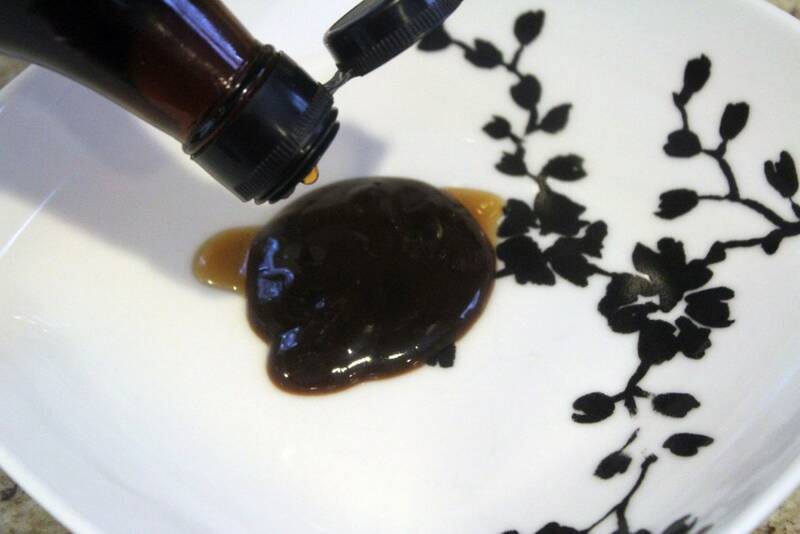 While the steak is cooking, make the drizzle by combining the chili sauce, hot sauce, and vinegar. 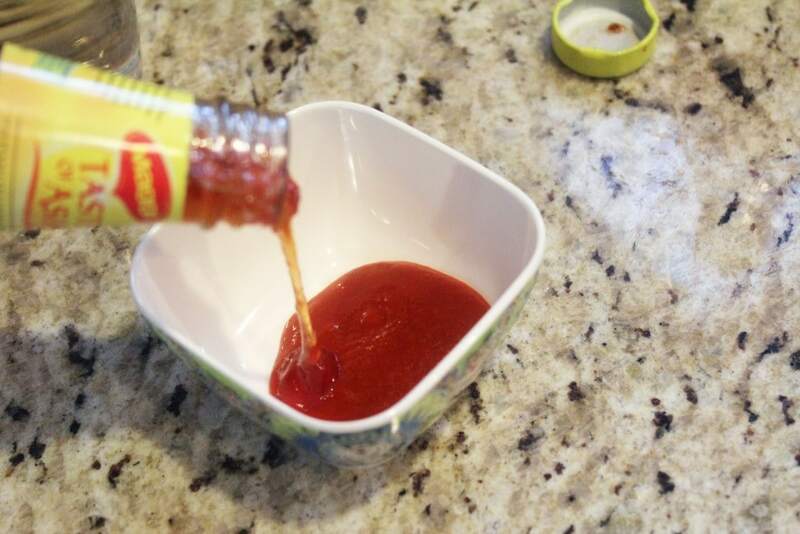 Taste, and add more hot sauce if you can take it, or more of the other two ingredients if the sauce is too spicy for you. When the steak has cooled slightly, thinly slice it against the grain. 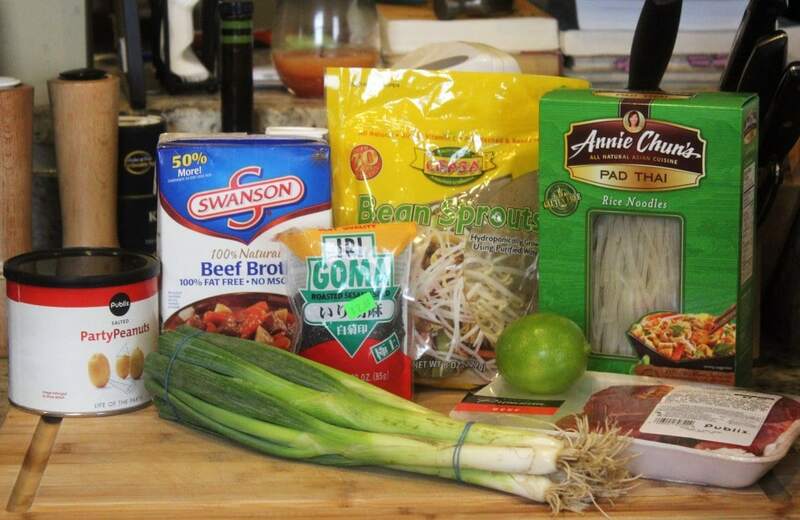 To the pan with the cooled beef sauce, add the noodles, scallions, bean sprouts, and half the peanuts. Toss to combine, and taste - add a bit more beef broth, fish sauce, or hoisin if you'd like. 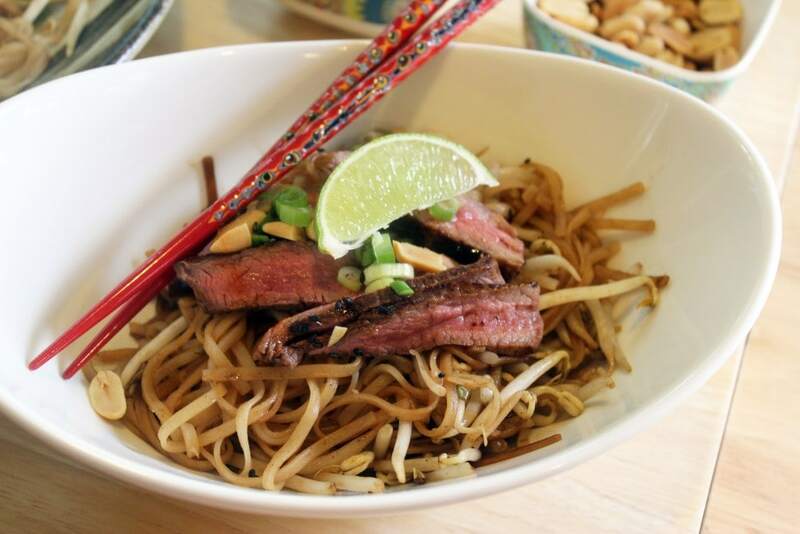 To serve, top the noodles in bowls with some of the steak, extra peanuts, sesame seeds, and lime wedges. Drizzle with hot sauce, and enjoy! This works served at room temperature or chilled - all components can be made in advance and just assembled before serving if you'd like. Use any steak you like that has a great price on it that day and doesn't need a lot of marinating to be tender, or add some time for marinating before you begin cooking.